After 35 years of teaching, I am retiring. I will now have more time to devote to developing lessons and to expanding the biography and art pages. Early teaching experiences included working with second graders and several years of working with learning disabled children. 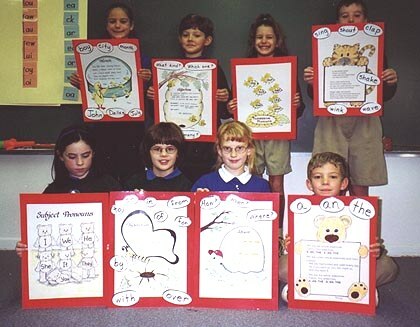 A team of second grade teachers developed the reading, Bible, and spelling programs. You may use any parts that will be helpful to you in your classroom. The lessons are available for non-profit duplication. I have used a phonics approach using Economy readers. The Accelerated Reader computer program is a strong motivational program. You may be interested in looking at the Shurley program for language instruction. These posters accompany the jingles for the parts of speech. to be obedient, and to become responsible citizens. Can there be a greater calling! Press "Go" to search for Reading Lessons. 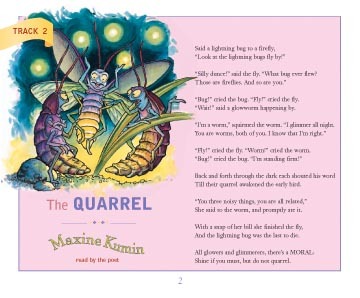 Poetry Speaks to Children, book with CD. 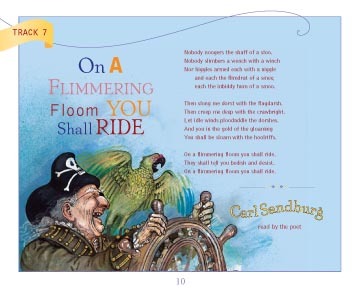 This book of poetry is a delightful collection of poems for children. A CD on which many of the authors read their own works is included. The CD lasts over an hour and includes 52 poems read by 36 poets and artists. 29 poets read their own poems. ( I was especially interested in a poem by Carl Sandburg, a poet I was privileged to meet in 1951. ) The full color illustrations are beautiful. We heartily recommend the book. See a poem by Maxine Kumin and another by Carl Sandburg .